with the help of this cute little man. Feeling rejuvenated and ready to tackle the world now! How much do you worry about pulling your quilt layers tight before pinning? Just discovered your blog and it is a breath of fresh air! How can I follow? I'm not seeing a button. 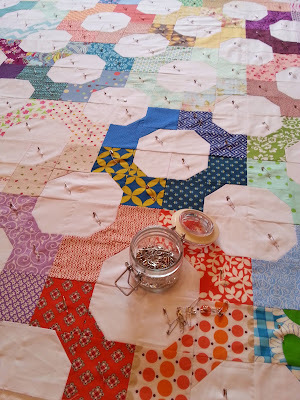 I baste my quilts on a tightly woven rug, which I have found "holds" my fabric in place quite well. I smooth out each layer on top of the next and then pin like crazy. 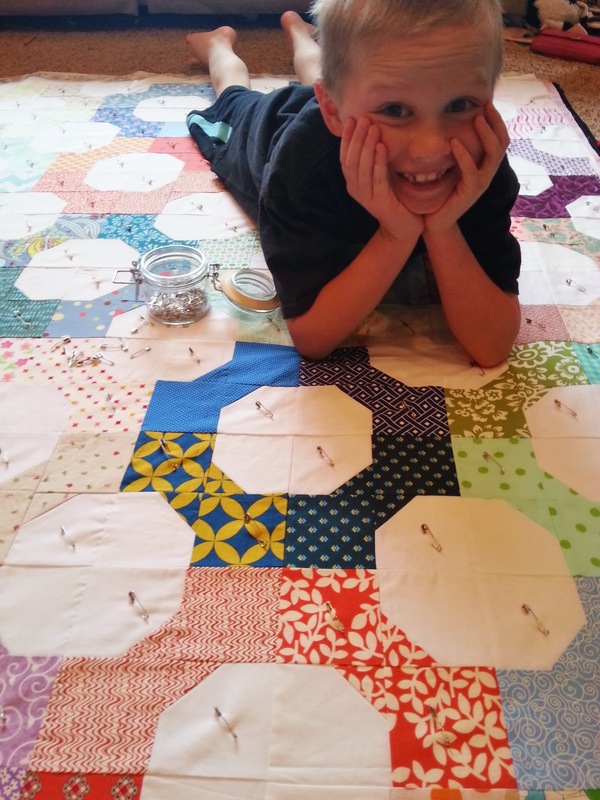 For me this method works just fine and yields a pretty tight quilt sandwich.